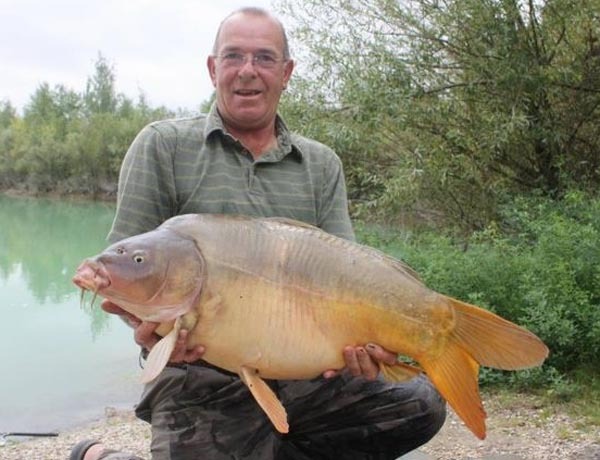 With the unseasonally mild weather the carp have continued to be very active on the lakes. In fact we have not had any frosts so far this year, let alone negative temperatures. When a couple of Dutch lads wanted to have a crack for a few days in early January it seemed a good idea. They arrived on the 2nd January and after just 24 hours had managed 4 carp. Three in the Croix Lake and one in the Tortue. Not bad at all for a Winter session. 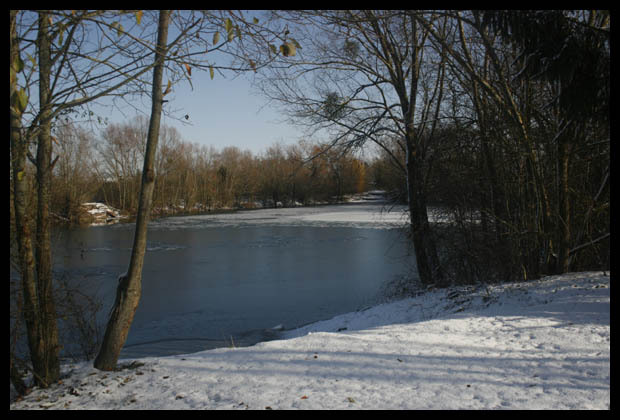 Well, using PVA bags bait-boated out to the areas where carp were showing, with strawberry snowman rigs, they continued to get action for the four nights fished, banking in total 8 carp and losing a couple more. 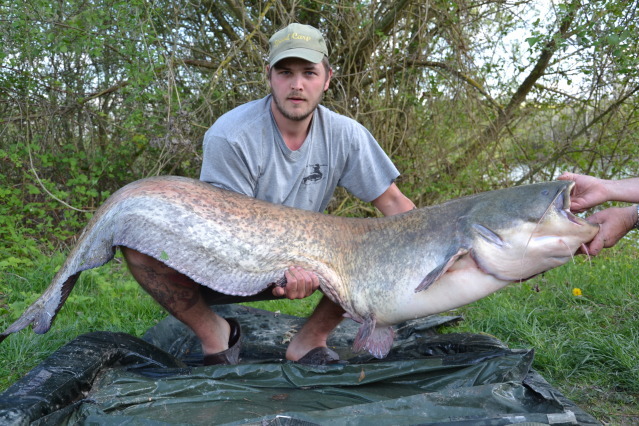 The best fish was a magnificent 45lb mirror. Fuelled by their success I decided it was time I had a go myself. My last session back in November had resulted in a blank; but now there were clear signs of active fish. With so much rain during July the lakes fished poorly in comparison to the previous ones. I believe that the influx of cold water, mostly through the water table, and therefore cold, caused the carp to moved up off the bottom and find a comfort zone in mid water. Groups of fish could regularly be sen in mid water. This made them very hard to tempt. Zigs were used with some success, but generally speaking things were not very productive. Well back to the lakes… What stands out as I review this update is that the best catches have come to lake regulars. I guess it is the same on your domestic waters, but you get better results once you get to know the water a bit better. Its not a given as many of the first timers also have excellent results. 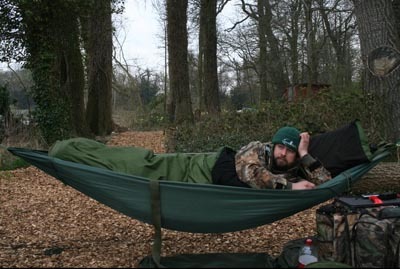 I was happily eating my dinner after a spot of tench fishing, when the wind got up and it started spitting with rain… No worries, I just moved myself and gear under the tarp and finished my dinner. As I lay in the hammock, the wind got stronger and the rain heavier…and heavier and heavier.. It was a sheet of water and a violent swirling wind. When the paracord guy rope to my DD tarp broke off and it flapped uncontrollably in the wind I decided to knock it on the head and head for home. Myself and my gear were by now totally soaked. 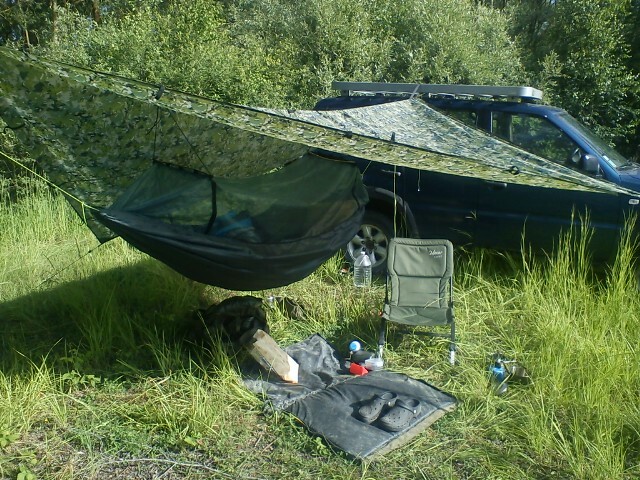 With the carabineer ridge line and tree straps I was able to take down the tarp and hammock in a couple of clicks and bundle it into the motor. I gathered my billies and stove and was off from the lake presto…lightening was dropping all around, and we are in a thick wooded valley.